Elana Cowen, mezzo-soprano, has already had an international career, performing not only in the United States, but Asia and Europe as well. Praised numerous times for her remarkable character acting, Ms. Cowen as Tisbe in La Cenerentola with Pocket Opera was hailed as “…boasting a fine voice and a special flair for character” (San Francisco Examiner). Ms. Cowen has worked extensively with many companies on the West Coast, including Opera San José, Philharmonia Baroque, MasterWorks, Bay Area Classical Harmonies, L.A. Philharmonic, Bay Area Children’s Theater and San Francisco Lyric Opera to name a few in addition to performing in many of the great venues of the United States, such as Disney Hall, Davies Symphony Hall, Shrine Auditorium and the Hollywood Bowl. Ms. Cowen has performed roles in musical theater and opera alike. 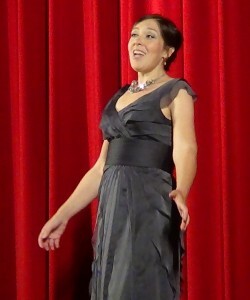 Operatic roles performed include Olga in Eugene Onegin, Marcellina in Le Nozze di Figaro, Dido in Dido and Aeneas, Lidio in L’Egisto and Dinah in Trouble in Tahiti. As a numerous performer with Utah Festival Opera and Musical Theatre, Ms. Cowen had the privilege to cover opera and musical theater roles alike, from Baroness in Vanessa, Emilia in Otello, and Mary in Der fliegende Holländer to Nancy in Oliver! Musical theater roles include Baker’s Wife in Into the Woods, Mrs. Sergstrom in A Little Night Music, Bird/Mouse in A Year with Frog and Toad and Veruca Salt in Willy Wonka and the Chocolate Factory, to name a few. Upcoming, Ms. Cowen will perform the roles of La Cesca in Giannischicchi as well as Ganymede in My Fair Galatea with Waffle Opera and Pocket Opera of San Francisco. As well as being versatile onstage in the extensive roles Ms. Cowen has played, she is also an active concert artist. Recent performances include the Alto Soloist in Missa Solemnis and working with the acclaimed Maestro Craig Jessop of the American Festival Chorus. 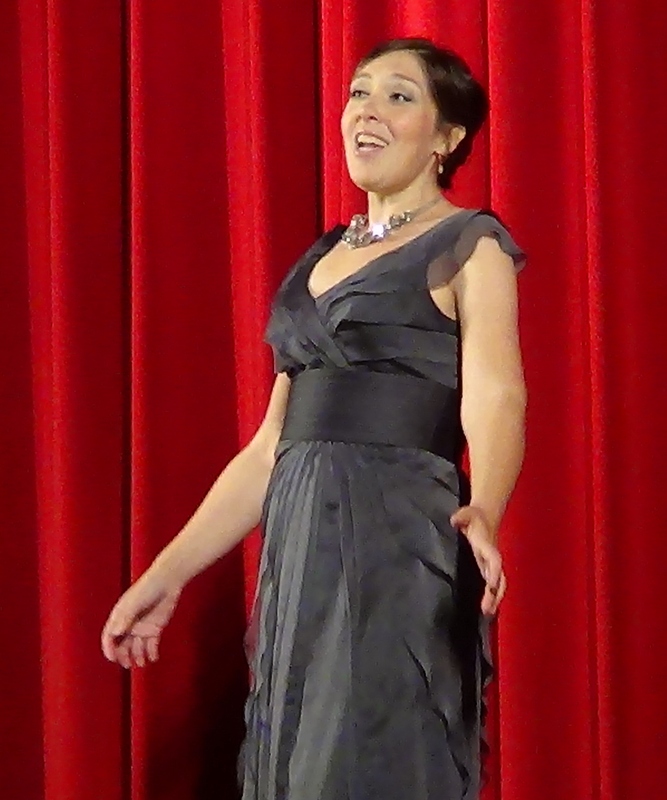 Other oratorios performed include the Mezzo-Soprano Soloist in Saint-Saëns’ Christmas Oratorio, Alto Soloist in Beethoven’s Mass in C and Soloist in Vivaldi’s Gloria. In February, Ms. Cowen will solo in Mozart’s Litanae Lauraetanae at St. Matthew’s Episcopal Church of San Mateo, Ca. Not only is Ms. Cowen a well-rounded recitalist and performer, she has had extensive training as well in her career, graduating with a Post-Graduate Certificate and Masters of Music from San Francisco Conservatory of Music, as well as receiving Vocal Department and Opera Department Honors. Ms. Cowen attended at the prestigious Aspen Music Festival and School for two years, studying with W. Stephen Smith of Northwestern University and covering Bertha in Il Barbiere di Siviglia with the Aspen Opera Theater Center. Ms. Cowen is a student of mezzo-soprano Catherine Cook and is an alumna of the CoOPERAtive Program, Le Chiavi di Bel Canto at Texas Music Institute, Singer’s Gym and OperaWorks Intensive.